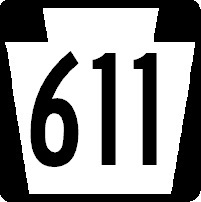 Pennsylvania State Route 611 is a former alignment of U.S. Rt. 611 in East-Central Pennsylvania. It runs from Interstate 380, at Tobyhanna, to Interstate 95, in Philadelphia. 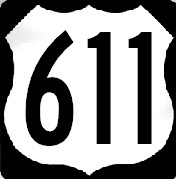 Info on PA St Rt 611, is broken down by county below.